Ottmar Hitzfeld backs German youngsters to shine at the Euros. German footballing legend, Ottmar Hitzfeld has backed Julian Weigl and Leroy Sane to make a breakthrough at the Euros. Getting selected to represent your country at a major international competition is a dream for many young players. 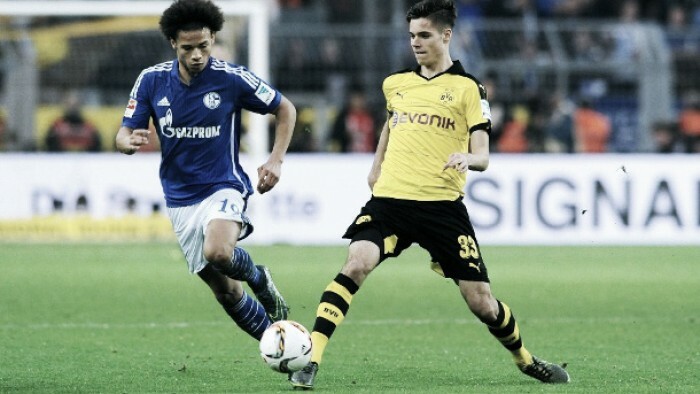 It is a dream that has become a reality for a 20-year-old Bundesliga duo; Leroy Sané and Julian Weigl. The two young stars have taken the Bundesliga by storm this season, securing regular starting spots in their respected teams, Schalke and Borussia Dortmund. The two have also made appearances in European competitions this season, as well as last season for Sané. Leroy Sané made a breakthrough last season, featuring 13 times in the league which cemented his position in the Schalke squad for this season, playing 32 league games. With eight goals and six assists in a disappointing season for Schalke, it was unsurprising that the attacking midfielder earned a call up from Joachim Löw. Ottmar Hitzfeld was full of praise for the Essen-born player, "Sané has good qualities, he has had a great season." The German legend continued his praise, saying: "he's extremely dangerous through his individuality." Speaking with Omnisport yesterday. The former Bayern Munich manager was also full of excitement when discussing Julian Weigl's breakthrough season. The German midfielder has made 29 appearances for Thomas Tuchel's Borussia Dortmund this season, performing outstandingly in the deep midfield role in the absence of Ilkay Gündogan. 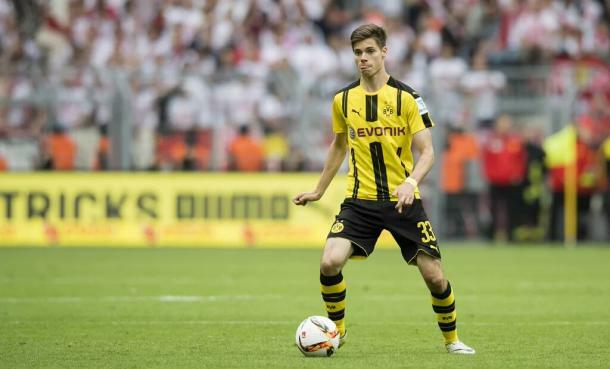 "Weigl is tactically very intelligent and technically good." Hitzfeld explained, "He played so cool and so convincing. He played like an experienced player in his first Bundesliga season." With Gündogan ruled out of the Euro's due to another serious injury, and Bastian Schweinsteiger recovering from injury at the moment, it is expected that Weigl will have an influential part to play in the Euro's with his country. A few other German youngsters who have some outstanding season performances to their names have earned a call up; Bayern Munich's Joshua Kimmich, and Bayer Leverkusen's Julian Brandt being two of the young names to join the experienced German World Cup winners on the squad list. Germany last won the Euro's in 1996, and finished as runners up in 2008 to a dominant Spanish squad. With the World Cup won back in 2014, can the German's become the most successful country in the European tournament by winning their fourth title?